We engage students in every aspect of the learning and teaching experience through an education philosophy that puts students at the centre of university life. You will be actively engaged in the learning process, working in teams, using the latest classroom technologies and benefitting from early research opportunities. Taking advantage of the knowledge and experience of our international staff, you will engage fully in English, the international language of education, science and business. Our learning and teaching philosophy ensures that our distinctive graduates are well-placed and in demand in the job market and in society as a whole. equipped with the skills to pursue your own research, by means of projects, dissertations and theses. 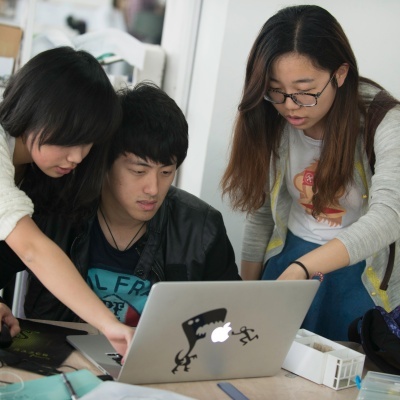 As an XJTLU student, you will also take an active role in shaping the University's development, giving vital feedback on programme modules, delivery and teaching through regular surveys. I enjoyed working with specialised and supportive teachers, while the facilities and resources provided a great learning environment. The Academic Enhancement Centre explores new models of higher education, and supports and enhances the best academic practice in learning, teaching and research activities that occur both on- and off-campus. At XJTLU you will be expected to acquire the language skills, confidence and self-reliance that will enable you to undertake research, communicate your ideas and reflect on your own development in the future. You will work independently to set goals and make competent and qualified judgements for yourself, all the while supported, where necessary, by the range of support services available at the University. Our programmes help you develop a broad range of skills that are aligned with professional practices in industry. You will learn skills from across the academic subjects as well as develop the transferable and interpersonal skills that are vital to professional success. Additionally, our location in Suzhou Industrial Park provides placement opportunities with a wide range of companies. By studying at XJTLU you will learn in an environment of rigorous academic quality, where degree programmes are influenced by leading research and industry expertise. Being taught by active researchers means you learn about the nature of research methodology and come to appreciate the importance of independent intellectual enquiry. You may even be inspired to pursue a research career yourself! We nurture enquiring minds, stimulate students’ curiosities about the world and equip them with the initiative to make a life-long commitment to learning, personal and professional development. XJTLU graduates are distinctive because they possess an international outlook, have the interpersonal skills to communicate and cooperate successfully in social and professional environments, and have the capacity and confidence to implement their ideas.